My first Chromebook was a netbook running Chromium OS Use Chrome OS On Unsupported Computers With Chromium OS Lime Use Chrome OS On Unsupported Computers With Chromium OS Lime Like this idea of Chrome OS, but don't want to fork out money for a ChromeBook? Good news! 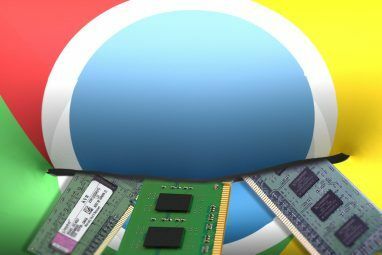 Chromium Lime brings the Chrome OS experience to a huge number of laptops and netbooks, thanks to... Read More . This was five years ago, back when Chrome OS only ran as a single maximized window. Much has changed since then. Chromebooks have made their way into schools. They’re popular enough to entice people away from cheap Windows PCs. But what if you want to just try it out first? If you’re interested in Chrome OS but already have a computer, it would be nice not to have to go buy one. Enter Cub Linux. Cub Linux is a Linux distribution that imitates the Chrome OS experience, but with fewer limitations. The project was born as Chromixium OS, when developer RichJack kicked off the project on the Ubuntu user forums in September of 2014. The first stable build arrived in April the following year. If you’ve installed an Ubuntu-based distribution in the past decade, you know what to expect here. For newcomers, the process is simpler than you may think. Like most modern Linux distributions, you can try before you buy (not that you have to spend any money). 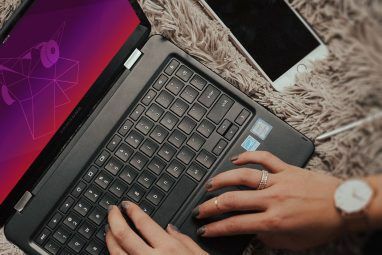 For instructions on how this process works, here’s a handy guide How to Install Ubuntu on Windows 10: 3 Simple Methods to Try How to Install Ubuntu on Windows 10: 3 Simple Methods to Try There are many ways in which you can try Ubuntu. One of them is to install Ubuntu on Windows 10 using one of these methods. Read More . Does it Really Look Like Chrome OS? At first, yes. A clock and status indicators rest in the bottom right. An app drawer lines the bottom left with a search icon alongside Chromium and the Files app, with shortcuts to Gmail, Drive, and YouTube in between. When you click on any of the shortcuts, they open the website in a Chromium window. Pages work as you would expect. YouTube starts streaming videos right away. Docs, Sheets, and Slides let you work offline How to Use Google Docs or Drive Offline on PC & Mobile How to Use Google Docs or Drive Offline on PC & Mobile The downside to cloud-based services and apps is that you always need to be online to use them. We show you how to take Google Drive offline & what to keep in mind. Read More . The Chrome Web Store can install additional web apps. The search icon pulls up the app drawer. Unlike the latest releases of Chrome OS, Cub Linux does not launch a window in the center of the screen. Instead you get the older launcher that Google recently retired. The Ubuntu installer icon is the biggest tell from the beginning that this isn’t a genuine Chrome OS experience. That said, this shortcut goes away after you install Cub Linux. Yet once you start clicking around, the illusion fades. Chromium uses system title bar and borders by default. On your typical Linux distribution, I agree with this setting. With Cub Linux, I find unchecking this box provides a more pleasant visual experience. It may not fully match the default interface, but that’s nothing the right Chrome theme can’t fix. Cub Linux uses XFCE as its desktop environment. The default theme is very basic. The solid white contextual menus are akin to Chrome OS, but they ultimately looks less polished. The three indicators let you adjust the sound, configure your internet connection, and manage XFCE’s power settings. They look okay. What Makes Cub Linux Different? Cub Linux may mimic the minimalist Chrome OS desktop, but make no mistake — this is a full Linux desktop. You have access to the complete Ubuntu ecosystem. You won’t find the Ubuntu Software Center, but Synaptic comes included. You can also add PPAs to install applications that aren’t available in Ubuntu’s repositories. This means you have full access to your favorite desktop applications. Install LibreOffice. Edit images with GIMP. Listen to podcasts with Vocal. Play games with Steam. Cub Linux may look like Chrome OS, but it’s a significantly more powerful workstation. Cub Linux does an admirable job mixing the simplicity of Chrome OS with the complexity of traditional Linux. The default experience points users towards web apps and the Chrome Web Store. You can put Cub Linux on someone’s Chromebook How to Install Linux on a Chromebook How to Install Linux on a Chromebook Do you need Skype on your Chromebook? Do you miss not having access to games through Steam? Are you pining to use VLC Media Player? Then start using Linux on your Chromebook. Read More and, while they would notice a few visual differences, it probably wouldn’t affect their workflow. More advanced functionality is tucked away behind the right-click menu. From there you can access full system settings and launch any installed applications. The pre-installed software mimics Chrome OS. There’s a calculator, text editor, image viewer, audio player, and archive manager. There’s also a BitTorrent client, since this is an internet-focused distribution. Traditional applications do not appear in the main app drawer. That area is reserved exclusively for Chrome web apps. You can, however, pin traditional applications to the dock. Is Cub Linux for You? Chrome OS doesn’t come with the complexities of other platforms. For many people, this is a plus. For others, Chromebooks are simply too minimalist Chromebooks Aren't Perfect - Working Around the Negatives Chromebooks Aren't Perfect - Working Around the Negatives Although we've recently published articles discussing Chromebook's inherent positives, it would be short-sighted to pretend that the devices are perfect and without flaws. Read More . Cub Linux serves as a great compromise. It allows people who appreciate the Chrome OS interface to enjoy it without giving up their traditional apps. And it allows others to effectively get a Chromebook without having to spend the money on one. Even people running Linux in a virtual machine or a window Running Linux In A Chromebook Window, Xbox Hackers Offer DDoS Attacks [Tech News Digest] Running Linux In A Chromebook Window, Xbox Hackers Offer DDoS Attacks [Tech News Digest] Also, the Xbox One SDK leaks online, the most pirated movies of 2014, Nuclear Throne freebies, and a look back at 2014 in GIFs. Read More using Crouton may appreciate having a more seamless experience. Cub Linux is also a quick way to set up a Linux computer for a non-savvy user. Ubuntu looks downright complex by comparison. Someone can use this desktop without realizing there’s more than Chromium available on their computer. 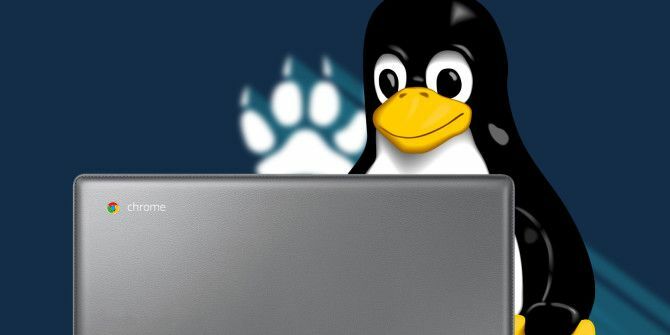 What do you think of Cub Linux? Should Linux distributions mimic commercial desktop environments? Is Chrome OS worth copying? Is this the ideal distribution for new users? Hit the comments section below! Explore more about: Chromebook, Google Chrome, Ubuntu. NOTICE: Cub is no more! Was formally Chromixium OS, but according to its Wikipedia page: "Late 2016 Cub Linux mysteriously disappeared. "Account Suspended" is the only message left behind." I used it for awhile, and it was great; then I switched to Mint. Checked the website recently by curiosity, and nodda, so I read the Wiki page to learn this. So the answer to your question becomes self-evident. Hey Paul. I committed to Cub Linux on HP Mini 210 Netbook (2010) and it has been working just fine. But with Cub Linux no longer viable (worried about updates, etc.) I want to also change to Mint with Cinnamon. How did you do it? When I try from a bootable Mint USB it doesn't work. Any suggestions? Note: not a real techie. You have a very similar unit to what I have (Asus 1015PEM), except, I bought a 2G RAM stick the day I bought this unit (also in 2010; they all came standard w/ 1G) and then just last year I replaced the hard drive; the HDD with a 64GB SSD. These are cross-compatible; if it fits it works (for the most part). This I recommend because the old hard drives are a bit too slow now, for any OS, when compared to new devices. I loaded Cub Linux using an Asus DVD Writer External Optical Drive (purchased in 2011). I had no luck using a USB thumb drive; the Distro never loaded properly (or at all), but they always work using a CD, so I stay with that method on this device. Then I wiped/reformatted the original laptop HDD (using GParted), and now use that as an external storage device, via a StarTech USB 3.0 to 2.5" SATA III Hard Drive Adapter Cable w/ UASP - SATA to USB 3.0 Converter for SSD/HDD (all at Amazon; been Prime since 09). Most public and college libraries will allow you to check out or otherwise use an eternal CD/DVD drive (if you don't have). As for a Distro, you'd want to search using keywords "most lightweight Linux distro." I picked Mint 18 (32-bit) but only because of the SSD/2G RAM set-up; otherwise I'd select one that uses little RAM to run (Puppy Linux or Linux Lite as some examples). If you're patient, I'm sure someone from MUO will chime in here, and provide more Tech-related news or ideas, for I too, am a mere tech toy tinkerer (self-taught). I purchased a (C202SA) Chromebook anyway, and Cub Linux does not function like nor look like it; probably why it got too-few downloads. Another Chrome clone (?) is CloudReady, which I've been running off a USB thumbdrive for several weeks now. One notable feature is the inclusion of Google Hangouts and Drives client. I've running Cub because it runs very well in a virtual machine. 2 cpu with 2 GB RAM is more than enough power to do what I need it to do. 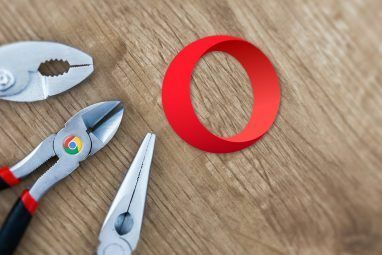 While I was never a fan of ChromeOS I think those that can find it helps their workflow, could love having this on their machines. It looks great, but I need a more rich and fleshed out OS. I have been using this on a Dell inspiron 6000, which is way past "old" as computers go. It runs well and looks great. Rich Jack has done a great job on the development and now that there is a team effort going on, I think it will just get better. Glad to see someone highlighting this effort. I think this makes an excellent beginner's Linux distro that could carry the new user right on into going full-time Linux and getting more advanced. Those who think that Chrome OS in general is "too minimal" might want to wait until tomorrow at I/O because of the ARC Play Store rumors.